If one was to name the pianist of the moment, many would point towards Daniil Trifonov, an interpreter who has the best qualities of the keyboard virtuosi but also -as a supplement not always present in them- an amazing intelligence in regard to the management of his own technical ability, which is evident in the clarity of his readings. Also, in the unravelling of the internal coherence of scores that, despite their complexity, become open to the public. He avoids, thus, a type of virtuosity that provokes the collapse of notes, become unintelligible at certain moments. 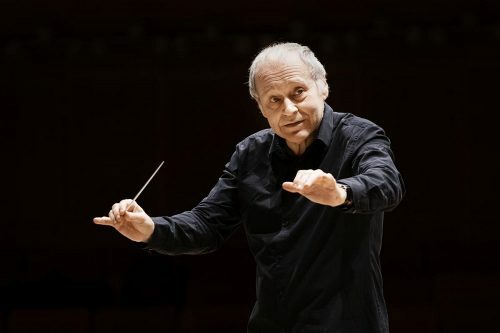 In the lavish large room of the Musikverein the public will enjoy pieces by Beethoven, Schumann and Prokofiev, composers with marked idiosyncrasies, having enhanced all of them the expressiveness in their piano pieces by means of an intricate grammar. -sometimes disconnected or redundant, apparently- to develop the musical materials of his works. For example, abrupt changes of register and effects, that in Mahler will be understood from a dramaturgical perspective, in the first part of the XIX they sound even more surprising. 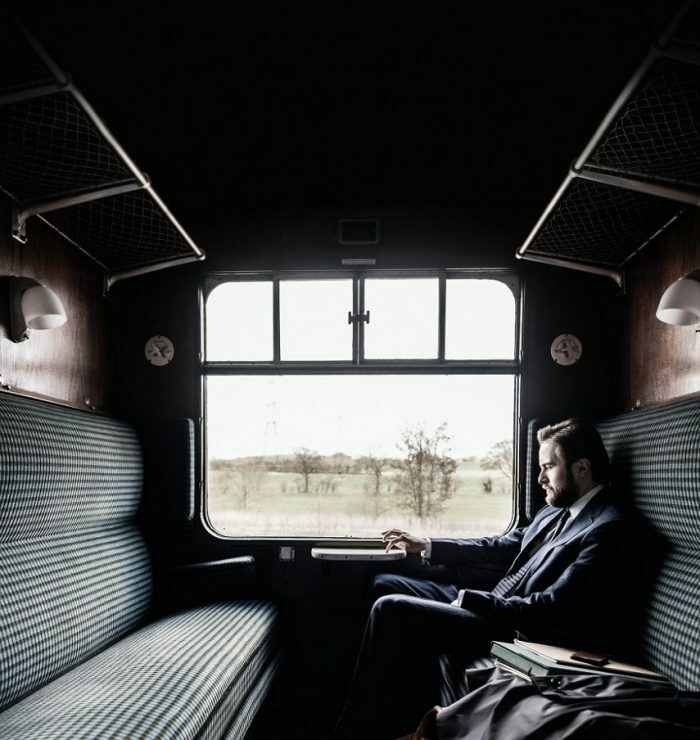 In the Barbican auditorium, Gardiner will emphasize precisely those timbre and rhythm contrasts, both accurately and vehemently -contrasts which are not completely capricious or mere emotional responses- along his performance of the Symphony No. 3, "Rhenish" leading the London Symphony Orchestra. This is an extremely interesting concert, since the program is completed with an Overture by Weber and, above all, with the sparsely interpreted Concerto for violin and piano by Felix Mendelssohn. A dynamic and fresh work -conceived at the almost offensive age of 14!- in which such different instruments interrelate wonderfully, in the search and foundation of a balance that in turn is imposed to the string orchestra that accompanies their adventures, and that reminds us of a not so distant classicism, even if the emphasis of the respective voices is the nineteenth century-like, already present in Beethoven. 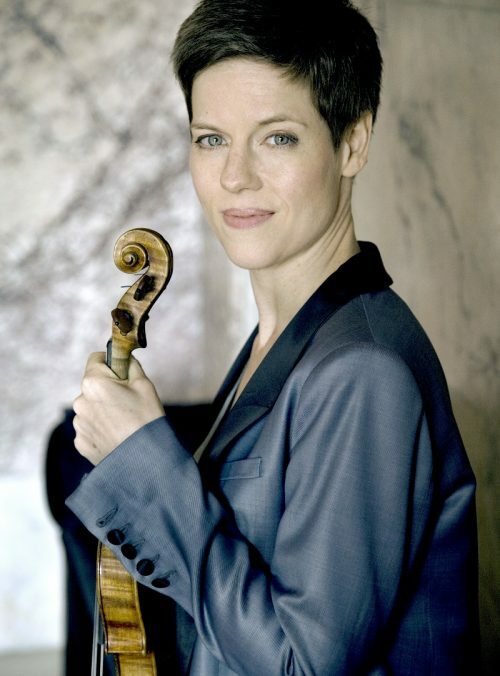 The understanding between Isabelle Faust and Kristian Bezhuidenhout, regular collaborators in the main stages around the world, will is assure the attendees' enjoyment. They are musicians recognized for their exquisite sensitivity and for a technique that accepts with pleasure any kind of interpretive challenge. Three days later, on February 10th, John Eliot Gardiner will return to the podium of the Barbican to conduct the Schumann’s First Symphony, nicknamed "Spring" due to the suggestive spontaneity and exuberance of the motifs that proliferate from the first movement, and one of Ludwig van Beethoven's most extensive and worked piano concertos, the Concerto No. 1 in C Major, op. 15 (composed, in fact, after the historically considered "second"), that Piotr Anderszewski will face as a soloist. Different stimuli gather in the concert of the Orchestra and National Choir of Spain in the second weekend of February, starting with the conductor and considering also the selected pieces, which are remarkable. William Christie is one of the most internationally acclaimed specialists in Ancient Music, known by the public for his leadership of the ensemble Les Arts Florissants, which is also responsible for recordings that have deserved the highest awards for their Baroque repertoire versions. A challenge of great interest, therefore, the one inherent to be in front of an orchestra which is not particularly accustomed to ancient music criteria - attacks without vibrato and a rhythmic vivacity that requires of the flexibility of a reduced set- which will be applied for the interpretation of the chosen pieces, all of them by Friedrich Häendel. In addition to the Concerti Grossi No. 6 and 7, a selection of choral numbers from Israel in Egypt and other festive pieces, composed by order and for celebratory purposes, such as the Coronation Anthems, on the occasion of the coronation of King George II. Pieces more or less familiar, but always bright and magnificent, among which we must highlight one, whose title will be less known than the key melody, probably reminiscent for football lovers. Actually, it is believed that the Champions League anthem has been inspired by the Coronation Anthem nº 1, Zadok the Priest. and present works of great interest, without no need to seek any coherence outside the works themselves. Surprisingly enough, in February the Fischer brothers, Ádám and Iván -both conductors- coincide in very different concerts in terms of content, and yet comparable for the reliability of the orchestras that they respectively lead. The latter, in front of the Budapest Festival Orquestra and the sensational RIAS Kammerchor, performs on February 13th a repertoire exclusively focused on the production of Stravinsky, including works as fundamental as the Symphony of the Psalms or, above all, the "explosive" -the organizers state- Rite of Spring. Ádám Fischer, on the other hand, will perform next to the violinist Leonidas Kavakos -eventually director, himself- thirteen days later to offer the concert recommended here, which will have been interpreted three days before, also, at the Viennese Musikverein. The program consists of one of Mozart's most brilliant violin concertos, his great last symphony ("Jupiter") and another piece of great interest, in this case the work of his friend Haydn. We refer to the Symphony no. 97, pertaining to the cycle of the London symphonies and, therefore, representative of the culmination of his symphonic art. performers have prepared a concert that remembers the very beginning of his international recognition. The presentation, on the web, points out that "when the film Tous les matins du monde premiered nearly 30 years ago, the music of two French composer-gambists—Jean de Sainte-Colombe and Marin Marais—was introduced to wider audiences. While Gérard Depardieu’s portrayal of Marais was fascinating, Jordi Savall provided the musical “voice” of the composer and introduced the astoundingly beautiful music of the early French Baroque to many. 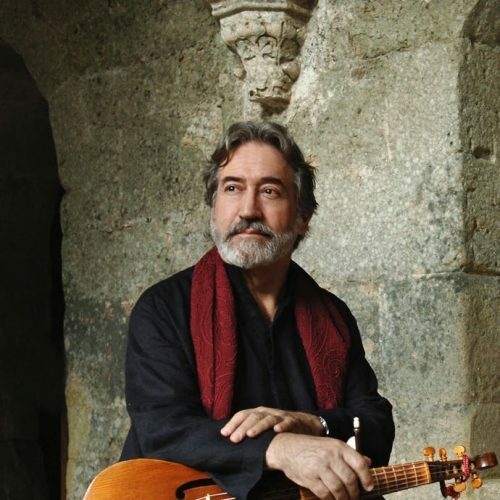 Savall and his Le Concert des Nations performed the soundtrack music, and they return to this sublime repertoire in a concert that features poetic music for solo and multiple viols, graceful dances, dramatic character pieces, and more". In addition to the internationally recognized Danish design, there are many architects from that Nordic country who have become an authority. 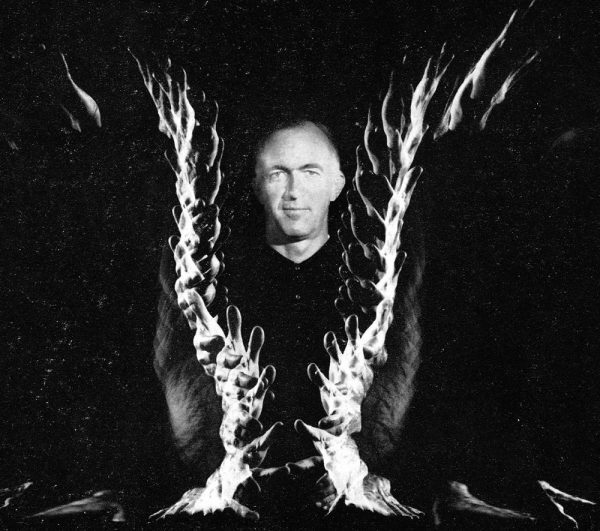 John Utzon is one of them, responsible for an iconic building, indelibly linked to Sydney. Even those who have not been in situ can recognize the city as a result of the silhouette of the Opera, imprinted forever in the memory by its characteristic shape. Of course, architecture is not a merely exterior art, sculpturally explicable, but -in the sense that Bruno Zevi recalled- its peculiarity lies in the creation of spaces, in shaping an interiority that can be inhabited or used for different purposes. The Museum of Architecture of Copenhagen, in the exhibition devoted to this figure, shows Utzon's influences through a generous amount of materials and graphic testimonies that he compiled throughout his many trips, and which are related to the design and construction of some of his works. As an example, it is explained that "Utzon was inspired by temples and the shapes of their roofs, which almost gave the impression of floating freely above elevated platforms. It was this illusion of the floating roof that he wanted to recreate for the Sydney Opera House”. on in a poem by Barceló himself ("I would lead a life of octopus / At night eating crabs and prawns / And in the hours of the sun, inside the barracks"). An exhibition that "refers to the link of Barceló with the sea, with its nature and fauna, and to the relationship of the human being and the waters. A romantic and devastating vision. Disturbing stormy sea that appears to foresee the moment in which we live. Some ships with human beings on them and some empty boat in the middle of the sea", explains the gallery web. In the catalogue, published on the occasion of the exhibition, some pages of Barceló's personal notebook are shown, in which thoughts related to his daily life can be read, as well as others of great aesthetic significance, reflections about the genesis and the meaning of his works. 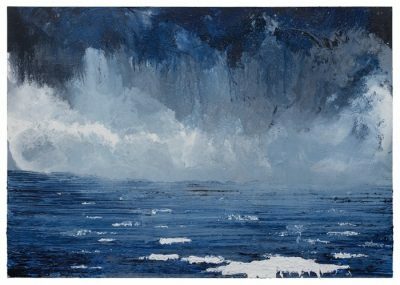 The Tate Britain offers an exhibition dedicated to a painter which might be not very known in our latitudes, despite his recognizable aesthetics. That he belonged to the Pre-Raphaelite movement -which was, in fact, a secret brotherhood- is something evident in the style of the figures, inspired by the painters of the first Italian Renaissance, and by the ancestry of the symbolism of the artist Dante Gabriel Rosetti, one of the authors of reference. Burne-Jones would travel to Italy with John Ruskin, artist and influential theorist of art, to contemplate works of masters of the trecento and quattrocento; to admire the paradoxical dimension of a past in ruins and yet aesthetically unequalled. The celebration of the forms and the taste for decoration are evident in the works of this author, who "repudiated the industrial vision of the Victorian era, looking instead for inspiration in medieval art, religion, myths and legends", it is explained at the Tate Britain. In this sense, Burne-Jones "made spectacular works depicting Arthurian knights, classical heroes and Biblical angels – working across painting, stained glass, embroidery, jewellery and more. With his friend William Morris he was a pioneer of the arts and crafts movement, which aimed to bring beautiful design to everyone". At the time of the industrial revolution, in a context of scientific positivism and factory productivity, Burne-Jones returned to the mythical mentality, imagination and lyricism of poets and literati. Until February 24th at the Tate Britain, 150 objects show the search and expression of a beauty that is eventually suggested as lost, giving rise to a sweet form of melancholy. We think, for example, of a canvas like "Love among the Ruins". The Museum of Modern Art of San Francisco collects in its exhibition Art and China after 1989: Theater of the World an interesting sample of proposals that threaten any prototypical image of the Asian giant. Transgressive and iconoclastic, the art produced since the events of Tiananmen Square in 1989 used different formats to make the world aware of alternative visions. Visions that are not homogeneous or aligned with the official discourse, demonstrating the social transformations that would take place up to the present, with a willingness to denounce or, at least, to question the statu quo. "The exhibition examines conceptually based performances, paintings, photographs, installations, videos, and socially engaged projects that question consumerism, authoritarianism, and the rapid development transforming society and China’s role in the world, placing their experiments firmly in a global art-historical context. The artists serve as both skeptics of and catalysts for the massive changes unfolding around them, and their work continues to inspire new thinking at a moment when questions of identity, equality, ideology, and control have pressing relevance". Among the concerted artists the work of the controversial Ai Weiwei can be appreciated. transforming simultaneously the concept of pictorial representation and opening the way to a type of expressivity not necessarily figurative. 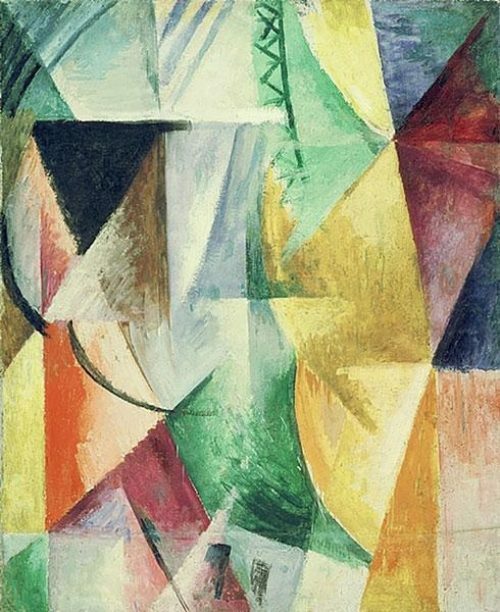 The Centre Pompidou of Paris, specialized in this type of art, offers an exhibition starring the pioneers Georges Braque or Picasso, as well as by other great names that followed them, among which Fernand Léger and Juan Gris. "The exhibition highlights the rich inventiveness and wide variety of the movement. Not only did it introduce a geometric approach to forms and challenge classical representation, but its radical explorations and the creative drive of its members also paved the way to modern art". The fundamental character of such a substantial exhibition is proudly claimed, being the first in France since 1953 that focuses monographically on cubism, and that can be visited until February 25th.